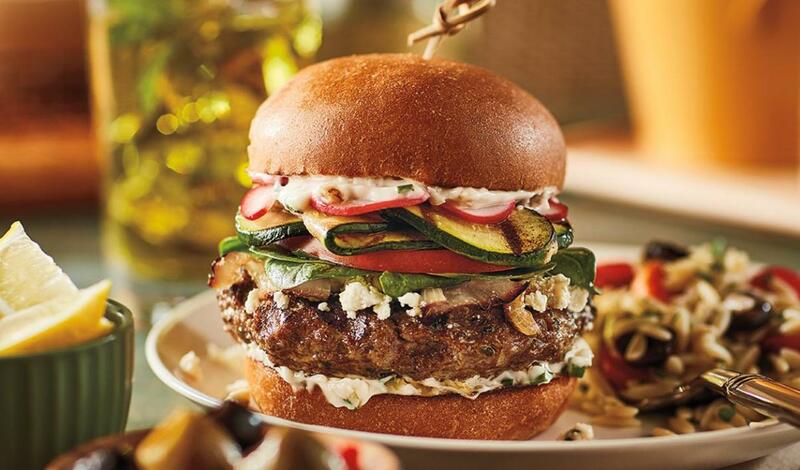 A lamb patty served on a whole wheat bun topped with garlic-chive mayonnaise, crumbled feta, caramelized onions, grilled zucchini, sliced tomato, and pickled radish. Combine all ingredients and form into patties. Chill. Bring all ingredients except the radishes to a boil. Remove from heat and add radishes. Allow radishes to cool at room temperature and chill. Cook patty to desired doneness. Spread Chive and Garlic Mayonnaise on buns.